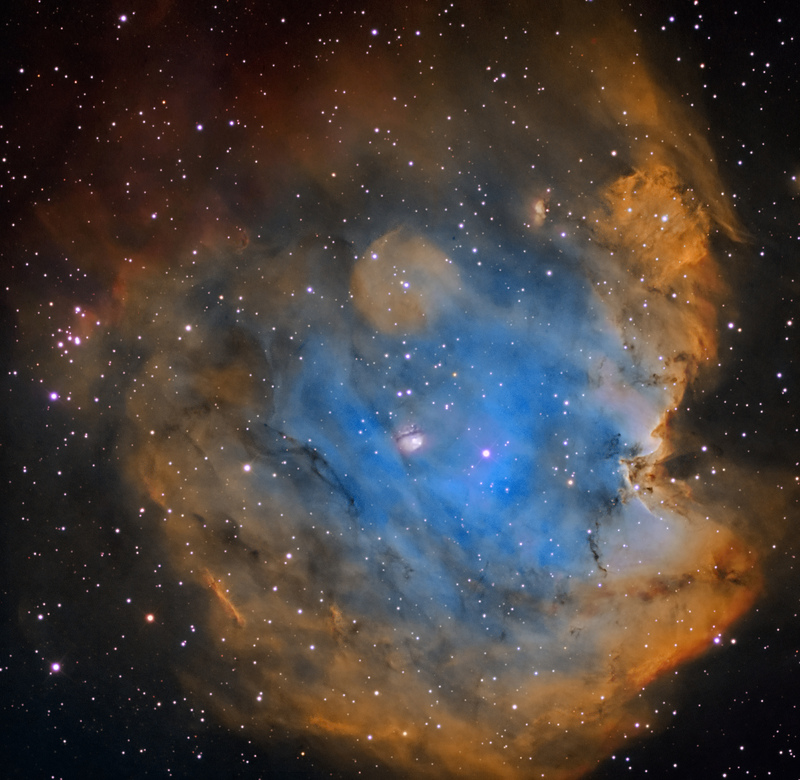 NGC 2174, The Monkey Head Nebula, is an emission nebula 6400 light years distant in Orion. It is assocated with the open star cluster NGC 2175 and is about 2 degress southwest of IC 443, the Jellyfish Nebula. NGC 2174 is a very bright object that fills the 35′ x 35′ frame. North is up. This tricolor narrowband image was color mapped using the Hubble Color Palette where B = OIII, G = H-a and R = SII. Additional color data from RGB filters were added.